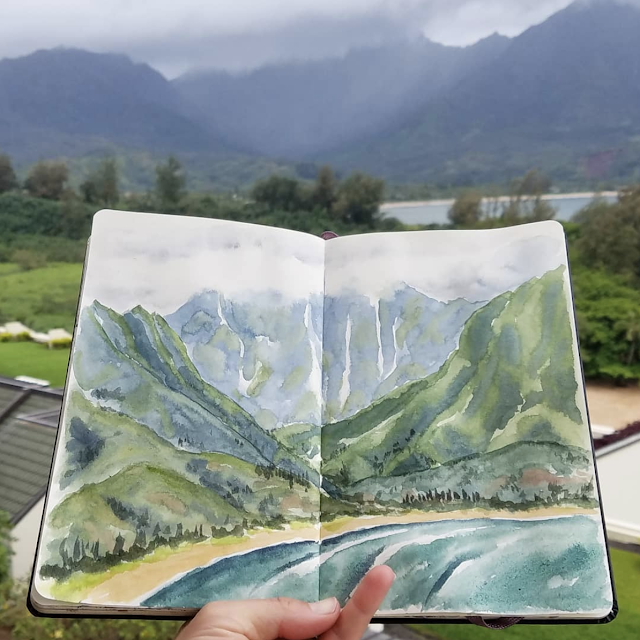 We went on vacation in Kauai last week, but our plans were rapidly altered due to the historic rains and flooding on the north shore of the island. As our plans for 3 days of hiking on the Napali coast were canceled due to the record setting flooding, we had to find other things to do. So one day we went to the St. Regis and posted up on the sunset deck and enjoyed the views of Hanalei. We even enjoyed the nightly sabering of champagne to celebrate the sunset. While the rains had technically stopped, the mountains were still shrouded in clouds and the waterfalls were still flowing strong. It was stunning. But hundreds of people were (and are) still cut off from their homes because a landslide took out the road, and they were getting ferried on zodiacs and waverunners back and forth putting their bags in trash bags to keep their clothes dry. We heard about the harrowing stories of backpackers who ran out of food and braved their way off the trail only to discover they were still trapped because the road was gone, and then had to claw their way through the landslides back to civilization. The flood waters had mostly receded, but shops in Hanalei were still cleaning up after the floods and a few houses had new moats and serious foundation issues. The north shore of Kauai still has a ways to go before they recover and I wish them well.